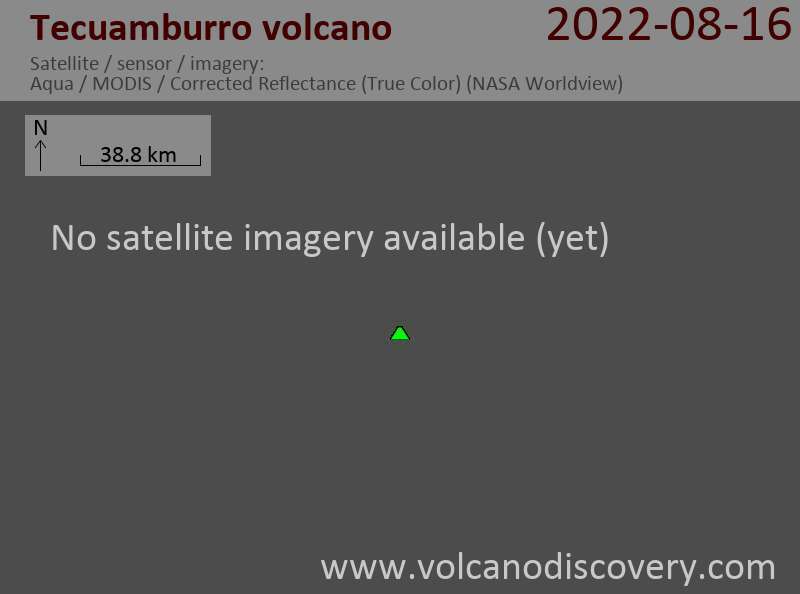 Tecuamburro is a small, forested stratovolcano or large lava-dome complex of mostly Pleistocene age. It is located about 50 km ESE of Guatemala City, about 20 km south of the main volcanic chain. An ancestral andesitic stratovolcano, Miraflores, was formed about 100,000 years ago. Tecuamburro and other lava domes were constructed during the late Pleistocene or early Holocene within a horseshoe-shaped, east-facing caldera produced by structural failure of the older Miraflores stratovolcano prior to about 38,000 years ago. One of the largest of these domes, Peña Blanca, overtops the NW rim of the collapse scarp. Two nested craters, the larger of which is Chupadero, lie at the NW end of the complex. The smaller crater is a phreatic tuff ring, Laguna Ixpaco, that was formed about 2900 years ago during the latest dated eruption of the Tecuamburro complex. Numerous fumaroles, hot springs, and boiling mud pots are found in the area around the acidic lake. No historical eruptions are known from Tecuamburro.